Delivery from Wednesday Order Now! Our Luxor bouquet is a luxury hand tied arrangement with grand prix roses, thistles, gentle gerberas, lilies and golden pines; hugged with our forest fresh foliage. This luxury bouquet is a gorgeous bouquet to send to your special Valentine. 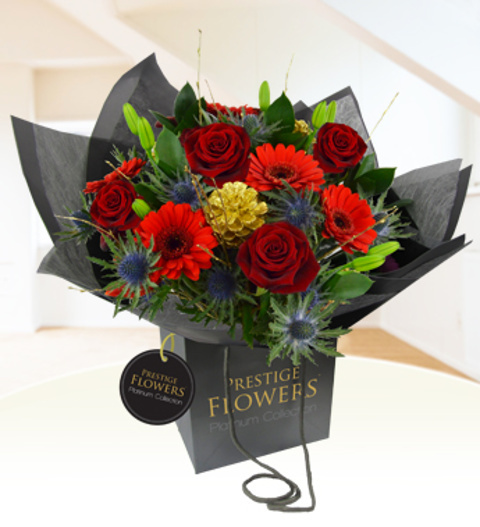 This arrangement comes with a FREE box of fine Belgian Chocolates and is available for UK next day delivery.